With any luck, this’ll be me this weekend. So it’s official. I leave tomorrow to complete the #2 on my bucket list– Hike a volcano! 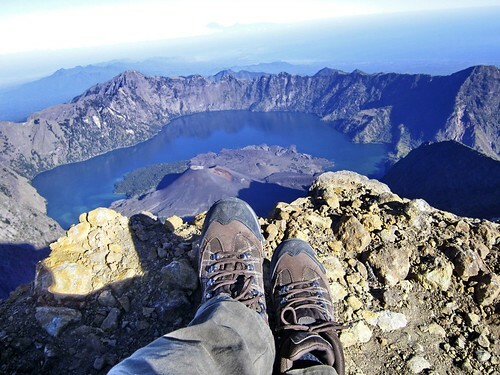 Mount Rinjani, to be specific. Its the second highest volcano in Indonesia, which is not a particularly comforting fact. But even if I have to drag myself to the summit, it’ll all be more than worth it to catch the sunrise over a view like that. It’s a 4-day trek so keep an eye out sometime next week for my post and pics! ← April Showers Bring May… Thunderstorms?